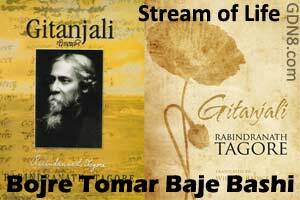 From The Nobel Prize Winning Collection 'Gitanjali' By Rabindranath Tagore. Featuring By All-stars And Many Leading Bangladeshi Folk Artists To Express The Harmony, Unity, And Cultural Richness Of Bangladeshi music. Sei shurete jaagbo ami, dao..
Sei shure jaagbo ami, dao..